The economy is getting better but that doesn’t mean everyone is out of the cold just yet. Here is a story that we are proud of and hopefully it too will inspire you to make a difference in your community as well. 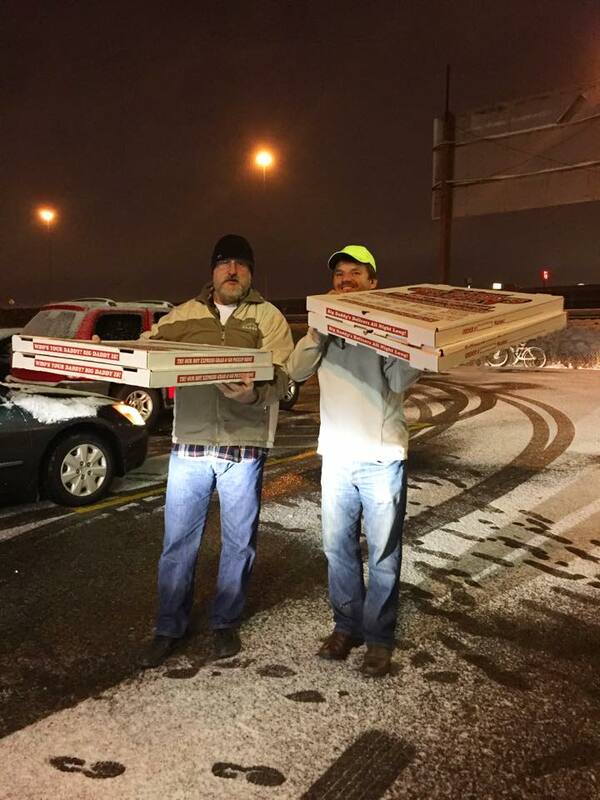 Mike Dark and Dustin Jorgenson show off the ginormous pizzas they donated to the Midvale Shelter and the 30 families that needed a boost when promised help didn’t come through. This entry was posted in Company News, Ideas from the Jorgenson Family, Uncategorized on January 8, 2015 by admin. This entry was posted in Helpful Tips, Ideas from the Jorgenson Family, Uncategorized on December 11, 2014 by admin.